(by Joe Tracy) Ub Iwerks was born in Kansas City, Missouri on March 24, 1901. While that's when his life started, the real adventure began in 1919 when at the age of 18, Iwerks got a job working for a company called Pesman-Rubin Commercial Art Studio. His job was to use the artistic skills he had mastered while growing up to produce work for Pesman-Rubin clients. Soon more people were being hired, including a young man named Walt Disney. It wasn't long before Iwerks and Disney formed a bond. Iwerks was a highly talented artist that was shy and reserved while Disney was a visionary idea man who was very outgoing and business minded. Less than a year after meeting, Iwerks and Disney joined together and formed a company, in 1920, called Iwerks-Disney Commercial Artists. The venture was short lived, however, as Walt went to work for the Kansas City Film Ad Company for more money. It wasn't long before Disney had convinced Kansas City Film Ad Company that it also needed the talents of Ub Iwerks. Iwerks was hired. During this time period, both showed a strong interest in animation, which was still in its early stages. The work of Winsor McCay's Gertie the Dinosuar really caught their attention and inspired Iwerks and Disney to study animation techniques further. The friendship that Iwerks and Disney shared, while working for the Kansas City Film Ad Company, often led to practical jokes instigated by Disney at Iwerks expense. According to the book Walt Disney: A Biography by Barbara Ford, "In spite of his skills, Ub remained the same shy, inarticulate, serious young man he had been when Walt first met him. He was extremely nervous around young women. Ub's personality made him a natural foil for confident Walt's practical jokes. At Kansas City Film Ad Company, Walt would send Ub postcards signed with girls' names, lock him in the washroom so that he had to hammer on the door to get out, and smuggle animals into his desk and locker. Ub never complained." Such incidents showed the fun and innocent times that Iwerks and Disney shared not only as coworkers, but also as close friends. Each person's strengths complimented the other one's weaknesses. Both were close enough that deals between them were sealed with a handshake instead of a written contract. Disney's continual need to try a new challenge led him to form a company called Laugh-O-gram Films and he was able to convince Iwerks to join the team. But the money didn't come in with Disney's new venture, so Iwerks left Laugh-O-gram Films and returned to Kansas City Film Ad Company. Iwerks still helped Disney out on projects, but when Disney was forced to declare bankruptcy, Iwerks was left with very little payment for his services. Disney decided to take his talents to California and Ub, being Disney's closest friend, saw him off at the train station. While Disney went off on new adventures, Iwerks remained in Kansas City faithfully working for the Kansas City Film Ad Company. But it wasn't long before Iwerks received word from Disney that his services were needed in California. In 1924, Iwerks moved to California to join forces again with Disney who had formed Disney Brothers Productions (later changed to Walt Disney Studios). Iwerks was paid less money, but received 20% ownership in Disney Brothers Productions as additional compensation. Iwerks was put in charge of a cartoon that quickly became very popular for its time  "Oswald the Lucky Rabbit." The popularity of the Oswald series and greed of the distributor, Charlie Mintz, led to a dispute over ownership rights. Charlie Mintz won. In addition, nearly all of Disney's animators deserted him for Mintz. One of the few to remain was the faithful Ub Iwerks. Iwerks loyalty created a bond of trust that very few people ever held with Disney. Soured by the Oswald rabbit events, Disney came up with a new character idea  Mickey Mouse. Together, Disney and Iwerks developed the idea and personality for Mickey Mouse. 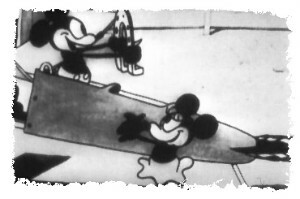 Iwerks was then given the task of bringing Mickey Mouse to life. Suddenly a new Hollywood star was born. Iwerks was Disney's right hand man in the creation of the early Mickey Mouse cartoons. Disney would come up with the ideas, stories, and motivations, then Iwerks would bring it to life. Bringing Mickey Mouse to life, however, was no easy task and it required Iwerks to spit out 600 drawings every single day. Iwerks dedication, however, would soon payoff for him and Disney. 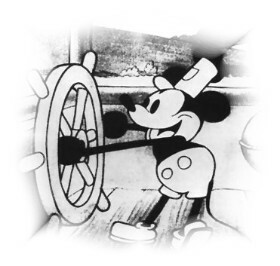 The third Mickey Mouse cartoon that Disney directed and Iwerks animated, "Steamboat Willie," would be the one that would catapult Mickey and Disney into stardom and household names. Iwerks often didn't get the public credit he deserved, but that didn't stop him from continuing as a master animator and the best artist at Disney Brothers Productions. 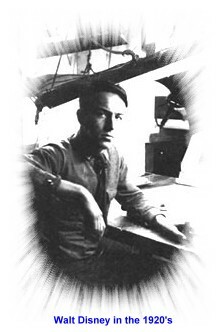 Even Frank Thomas and Ollie Johnston say in the book, "The Illusion of Life" that Iwerks was "in a class by himself" when it came to animating. It wasn't long before Iwerks was put in charge of training new animators. This was both a blessing and curse for him and those he was training. It was a blessing because Iwerks demanded perfection and was able to help breed some of Disney's best animators. It was a curse because Iwerks had a short temper and it showed often against those who didn't give projects 110% or for those that didn't fully appreciate the art of animation. But the result was better animators. Disney and Iwerks were a perfect match. Disney was the story expert and visionary while Iwerks was the master animator who breathed life into Disney's creations. However, something was about to happen that would forever alter their relationship. It started with a man named Pat Powers who negotiated a one year distribution deal with Disney in which Powers would pay Disney Brothers Productions $2,500 per Mickey Mouse cartoon and would receive 10% of the gross earnings. Ub Iwerks continued to be the lead animator for Mickey Mouse and worked long hours, with several other artists, in order to get cartoons made so that Powers could sell them. During these long sessions, Iwerks often received the brunt end of Disney's anger and frustration. The situation deteriorated further when Powers failed to deliver full payment to the Disney Brothers Productions, claiming that expenses were eating it all. This frustrated Disney more and the tension was showing. For Iwerks, the job was less enjoyable. And now Iwerks had a secret that would break his bond with Disney forever. Ub Iwerks had signed a secret pact with Powers. Walt Disney was absolutely devastated. The unbreakable bond and trust the two had shared since the age of 18 was now forever severed. 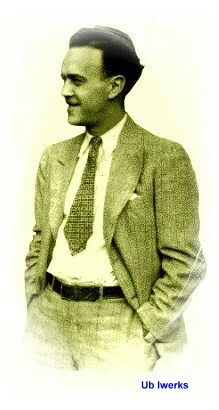 Having signed a contract with Pat Powers, Iwerks went to work for the man who had withheld money from Disney Brothers Productions. In the meantime, Disney Brothers Productions bought out Iwerks 20% ownership. Disney refused to renew the contract with Powers and he parted ways with Iwerks. Disney never rewarded those who burned him or broke his trust, even if it meant losing a lot of money. It is estimated that Disney lost close to $150,000 in his one-year contract with Powers  money that Powers said he would pay if Disney extended his contract. Disney wouldn't budge, even though he no longer had Iwerks. For Iwerks, it was too late for second thoughts. He was no longer a part of Disney's inner circle and he was no longer in charge of Mickey Mouse. This is a three part series. Part two will appear in April 2001. Joe Tracy is the publisher of Digital Media FX and former publisher of Animation Artist Magazine. He is also author of the book Web Marketing Applied. > access a printable version of this feature. > return to Features main page. > return to front page.